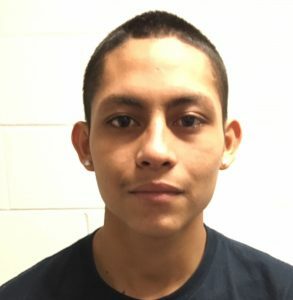 An MS-13 gang member has been charged with first degree murder, in the case of an unidentified homicide victim found in Wheaton Regional Park on September 5. And once again, this may have been a preventable homicide - the man charged had a previous run-in with Montgomery County police in 2016, when he was cited for theft of under $100, according to Maryland court records. Miguel Angel Lopez-Abrego, 19, had no address then, and still had no confirmed address when he was located in North Carolina by police on November 11, 2017. He has been extradited to Montgomery County, and is due in court today in Rockville for a bond hearing. A preliminary court hearing for Lopez-Abrego has been set for December 22. Once again, we find the inability of police to check immigration status may have led to the death of a man in Wheaton Regional Park. If Lopez-Abrego had been determined to be in the country illegally while in police custody on October 24, 2016, he would have been deported long before killing the man found in the park this year - a man who police say was stabbed more than 100 times. Instead of ICE taking him into custody for deportation, Lopez-Abrego was let go, and a warrant was issued for his arrest on December 6, 2016. In just the past two weeks, Montgomery County has seen first-hand that the current policy has led to two preventable homicides. The first was that of a young mother, also in Wheaton. Like her, the victim in this case - while unidentified - was also Latino. In fact, it is the Latino and immigrant communities which are being victimized the most by gangs in Montgomery County. Just ask the Watkins Mill High School mother who buried her 15-year-old daughter (stripped and executed by MS-13) this year, surrounded by undercover police officers in case MS-13 raided the funeral or graveside ceremony. Ironically, our elected officials hide behind the race card in defending their indefensible sanctuary policies. Of course, they're finding it harder and harder to defend the indefensible. Last Friday, WMAL radio host Larry O'Connor asked every single member of the Montgomery County Council to come on-the-air to defend their sanctuary policies, after it was found that those policies may have directly led to the death of Dania Mendez de Guerra. Not a single councilmember had the guts, confidence or conviction to come on the program and debate O'Connor. "BREAKING: MoCo Police say pack of MS-13 members decapitated + stabbed a man 100+ times. This is the latest in a rising tide of local MS-13 violence." Montgomery County Council is responsible for enabling this brutality by letting the Police do their Jobs.